If you think Kampala traffic can be bad, imagine being stuck behind Betty Nambooze Bakireke’s convoy on June 1, 2010. Surrounded by a mass of walking supporters (by some estimates upwards of 40,000), it took the newly-elected Member of Parliament for Mukono North almost eight hours to cover the 20 kilometres to Parliament to be sworn in. Afterwards it took another six hours for her to reach home. Nambooze beat the former MP Bakaluba Mukasa of the National Resistance Movement (NRM) who was convicted of election rigging in the 2006 elections. After a long court battle in which she sought redress, the court nullified Bakaluba’s win and fresh elections were announced by the Electoral Commission. The campaign period attracted all the big wigs including President Museveni who went campaigning for his NRM candidate, while the Inter-Party Cooperation (IPC) threw its weight behind Nambooze. Kampala Dispatch’s Ole Tangen Jr. and Edward Ronald Sekyewa spoke to Nambooze after her victory. KD: What does it mean to your constituency that you won? 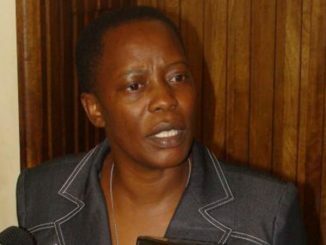 NAMBOOZE: As you may be aware, on February 23rd 2006, Mukono North constituency went to vote with the rest of Uganda in the general elections and at the end of the day, the loser was announced as the winner and the winner announced as the loser which caused unrest in Mukono for three days. The angry voters invaded the home of Mr. Mukasa and it took my intervention to stop the violence. I went to court and it ruled in our favour but Mr. Mukasa kept appealing in order to lengthen his stay in Parliament. Though I have arrived late in Parliament, the people of Mukono North see me as their only hope. It therefore means much to the people to see me in Parliament because I grew up with them and I have been with them all along. KD: Would you have been elected if the relations between the central government and Buganda Kingdom were cordial? NAMBOOZE: In 2006, the relationship between Buganda government and central government was not bad and I won. The bad relationship between Mengo and the central government now played no big role because I would still have made it to Parliament. There are other reasons which could have ushered me to Parliament. KD: Did having the Inter Party Cooperation (IPC) behind you fundamentally change the course of events to your advantage? NAMBOOZE: When you are contesting, any form of support is very important. It is true that the IPC, Buganda Kingdom and the Muslims supported me. I got a bloc vote from the Muslims because I had taken side with the pro-Kayongo Muslims during the Muslim saga. KD: Do people treat you differently because of being a female politician? NAMBOOZE: Yes. In the 2006 general elections, many people wanted me to go for the women’s seats since I am a woman. But I educated them that being a woman does not bar me from contesting for the constituency. This time round, many people questioned whether I would be in a position to represent them effectively because some saw me as a mere woman. I also used my gender to get votes because I was the only woman amongst eight men. I could tell the women to support me as a woman so as to challenge the men. I told them that we need a woman. But still, being a woman makes it hard to convince people like the Muslims because many of them could not allow me to address them in the mosque as the Islamic law prohibits this. KD: Do you think women are better placed in the fight against corruption since many of the corrupt officials in government are men? NAMBOOZE: We should fight corruption irrespective of gender. The former vice president (Wandera Kazibwe) was a woman and she was accused of corruption. Many of the people who receive gifts during elections are women and this leaves the opposition with less support because the opposition has nothing to give. This means that even women can still be corrupted once entrusted with a position. KD: What are the most burning issues that you feel should be addressed? NAMBOOZE: I used to tell people that the problems of Mukono North are the same as those faced elsewhere in Uganda. The problems of poverty, lack of democracy, poor service delivery apply to all. The roads in Mukono are poor, water is a problem in some parts but the former MP did nothing. He turned himself into a village chief who would cook food, invite the people and indeed the people could turn up to eat the food. He bought a truck that could supply water to the people, which was not a lasting solution to the problem. My people therefore want representation and that is why they voted for me because they know that am talkative. They cautioned me not to keep quiet when I reach in Parliament. KD: Do you have greater political ambitions? NAMBOOZE: Yes I do. I see my self one day contesting for the presidency of this country. It is not the president who does everything. So we want democrats who will let things work. Being a president is not like Museveni. You hear him saying “I told the Ministry of Finance to do this and that, I went to the Ministry of Works and I told them to do this and that”. This is not how a president should be because he does not [consult] his ministers. Having a strong man in the centre who can not allow other departments to function is the source of all the problems we have today. So we need a person in the centre who will know that he or she needs assistance from others to fix the country. 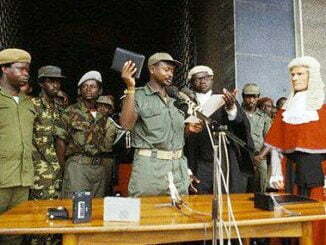 KD: What do you remember about Museveni when he came to power in 1986? NAMBOOZE: Museveni was a very good man and I was happy because he had liberated us. What has gone wrong is that Museveni has overstayed in power. He is like a person who came to plant and stays to reap his own fruits. He was a great leader but lost something along the way. Museveni is however a wise man who gives attention to many people, for example in the villages. He smiles to the opposition more than he does to his own people. He is like the shepherd in the Bible who leaves 99 sheep and only searches for the lost one. Museveni nurtured me in politics. He made me what I am whether good or bad. KD: Do you think Museveni is not aware of what is going on in terms of corruption or is he just ignoring it? NAMBOOZE: He is aware but he cannot do anything. If he did, it would mean throwing his own wife to prison and his children, brothers, friends, himself included. KD: UPC presidential hopeful Olara Otunnu suggests that Museveni’s past should be interrogated. What is your take on that? NAMBOOZE: The President has done many good things for this country, although he messed up somewhere along the way. His government has cheated so much that we needed to recover some things. However, the best way now is to change the system and bring in new people. The opposition is not clean enough too because many of the opposition leaders defected from the ruling government. KD: Do you think that we in Uganda are wasting time holding presidential elections? NAMBOOZE: Even if you participate in an election and it is rigged, it makes the ruling government weak. Like when they rigged elections in Mukono North, it made the NRM government very weak. We have to change many governments before we reach a democratic government, so we need to continue participating in the elections. KD: What do you have to say about the current wrangles within DP and what is the way forward? 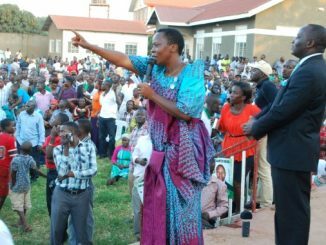 NAMBOOZE: It is absolutely upon Norbert Mao (current Democratic Party President) to show that he is a good leader. We need peace and reconciliation in DP. KD: Do you think this will happen before the 2011 general elections? NAMBOOZE: If I am allowed to sit in Mao’s chair for one month, I would reunite DP because the differences between the factions are just administrative and not ideological. Things like who should be the party general secretary. Mao should first organize party meetings and sort out party issues before he begins touring the country because what he is doing now is only a waste of time. KD: Why has your party refused to join the IPC? NAMBOOZE: There are three lines of thought within DP which have different feelings about the IPC. One is totally against joining the IPC and they have their reasons, there are those like me who would like to see our party join the IPC and there are those who we term as the DP mafias who are self-seekers and are in the party just to make money and bring about confusion. Apart from the last group, the other people have to sit and find a common position, but I personally think that DP would benefit if we participate in the IPC. KD: Do you think traditional rulers should participate in politics? 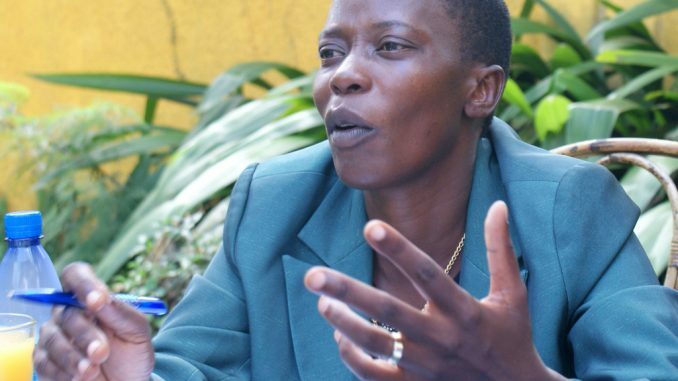 NAMBOOZE: The problem here is the double standards because if a king from some part of the country comes out in support of the regional tier, that one is not reprimanded by the state but if another comes out with concerns about the same, he is told to keep quiet because kings should not participate in politics. If you take the land law for example, this is an issue which directly concerned the King of Buganda. Whether it was a political issue or not, the king has to be heard. As long as these issues remain unsolved, traditional rulers will always be part of the discussions because they also have a stake in this country. KD: What last message do you have for Ugandans? NAMBOOZE: We all have this country Uganda but we are yet to be Ugandans in the true sense. We should face and solve the problems of this country together. Uganda is like a coat with many colours, so it should not be bleached.